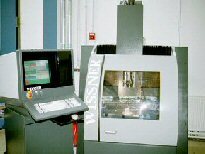 WinMotion combines soft motion, soft PLC, and HMI in a single, scaleable software application that provides single or multi-axis control across a full range of general motion applications including: material handling systems, semiconductor manufacturing equipment, printed circuit board manufacturing equipment, gantries, packaging machines, and test and measurement equipment. Soft motion and soft PLC in a single software application. Scalable software technologyup to 16 axes and 8 independent job streamswith minimal reduction in performance! Create your own HMI using the WinMotion API and Microsoft® Visual Basic® or Microsoft® Visual C/C++. Or, use an off-the-shelf HMI. MDSIs patented Significant Events technology automatically collects machine tool dataincluding maintenance, production, and quality informationin real time, without specialty hardware.